During the week I looked back over my match notebooks - I had a moment that almost made me blush. At half-time in the French game at the Aviva, with Ireland leading 19-0, I wrote "back in the groove - woo hoo" - ahem. The big winners in Cardiff, apart from the plastic poncho salesmen, were the Irish provinces. If anger is an energy, well Leinster and Munster should have enough volition to go all the way to the Champions Cup final in Newcastle. One of the questions that has not been asked is where are Ireland with their strength and conditioning cycle? Ireland never looked sharp mentally but disturbingly they never looked sharp physically either. Last Saturday's pitiful performance was hard to gauge. Only England managed an 80-minute performance in the championship in the serious games and that came against us. Wales never managed to be consistent over any of their performances - but their effort never flagged and this was obvious in their performance against Scotland when the game strategically and tactically meandered away from them but still their sense of purpose and resolve never deviated. Confidence is a real force in sport and particularly so with the Welsh. Warren Gatland did not have to rely on a GPS device in the back of his players' jerseys to know that someone like Alun Wynn Jones would stay the course. Looking forward to the World Cup, the trick is to maintain whatever it is that you have. Confidence and momentum can be gone like a puff of wind in an 80-minute window. The day after Ireland beat the All Blacks in Dublin, Steve Hansen, well-versed with the weight of expectation, handed out some perspective. Since the All Black 'Invincibles' of 1924, New Zealand have been winning. They have winning records against every major rugby nation in the world. If they lose a match they are still expected to win the dozen or so other games they will play in that season. They win because they are conditioned to and expected to win. Depending on your outlook that could sit easy on your shoulders or it may weigh you down. Either way the All Blacks have lived with it for more than 100 years. I know of no other team in the history of sport who win so often with such ease of consistency. "How," mused Hansen, "would Ireland deal with that burden now that they were the best team in the world?" Well, they lasted 77 days until they fell off their perch. Of course we didn't know what to do or how to do it and neither will Wales. Ireland's position, while disappointing, is recoverable. In six months' time anything can happen. Coming in to any major tournament from six months out, the planning of every single minute from now until then with military and scientific precision isn't worth a toss. You can arrive as the hottest favourites or as a cert to go out in the early stages and that can change on the back of a training-ground injury or a bus arriving a few minutes late for the match. In 2007, England arrived in France to defend their crown as world champions. They had a couple of dreadful seasons in between World Cups and in the 2007 Six Nations got duffed 43-13 by Ireland and had 27 points put on them by Wales in the last game of the season. Brian Ashton was almost doing as good a job on England as he had done with Ireland. England started their pool games with a 36-0 stuffing by South Africa and struggled more definitively than the scoreline suggested against USA (28-10), Tonga (36-20) and Samoa (44-22). They stank the place out with the quality of their performances. They did, however, navigate their way past Australia 12-10 and then did the unthinkable by beating France in their own competition at the semi-final stage (14-9) and suddenly, against all expectation and form, England were in the World Cup final. A little player revolt and a smidgeon of some British bulldog spirit and suddenly the summit was in sight. In 1991 we finished joint-last with Wales in the Five Nations. We garnered a point each after a miserable draw but finished ahead of the Taffies on points difference. Back then you really did have something to complain about. If ever any of us were thinking about winning 23 out of 26 Test matches, like the current team, it would have been with the assistance of some REM. In July we managed to hold mighty Namibia to just 15-6 and 26-15 to lose the Test series - that took some doing. We did all nearly die from food poisoning before both Tests. If Joe can use that excuse so can we. And so when the World Cup came about in October there was great expectation - great expectation that we would get thrashed. Australia had put 63 points on Wales during the summer and duly went to Cardiff and beat Wales 38-3 in the pool. They came to Dublin on the cusp of greatness - one of the greatest teams of all time - the small matter of fixture fulfilment against the Paddies before the serious matter of taking on the All Blacks in the semi-final. The fact that Ireland led the game 18-15 with 90 seconds on the clock tells you that strange things happen in big games. No form coming into the World Cup and a string of dispiriting losses and yet... if you get a bad run of form and confidence deserts you, it can be like turning the Titanic around or sometimes it can change at the drop of a hat. Wales did finish second from bottom in the 2017 Six Nations remember. 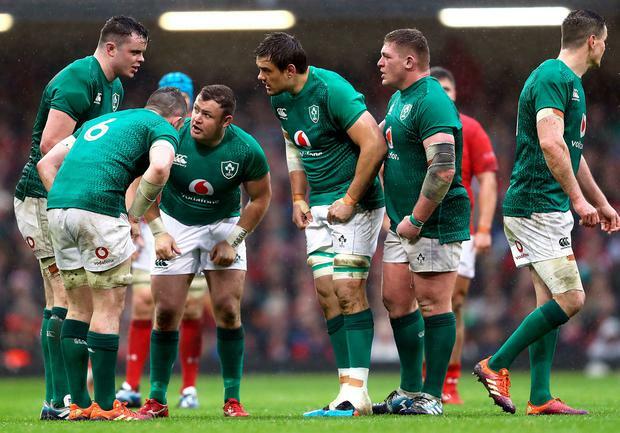 Ireland's losses to England and Wales were dispiriting. England are certainly the best-equipped side to go to Japan but cannot go there absolutely sure of themselves. Wales put in a solid shift and kept going but my god that was a cheap Grand Slam where their chief opponents, England and Ireland, never got one punch off that floored the men in red. Everyone has a plan until they get hit in the face, right? The recent campaign will add fidelity to Joe's mood. 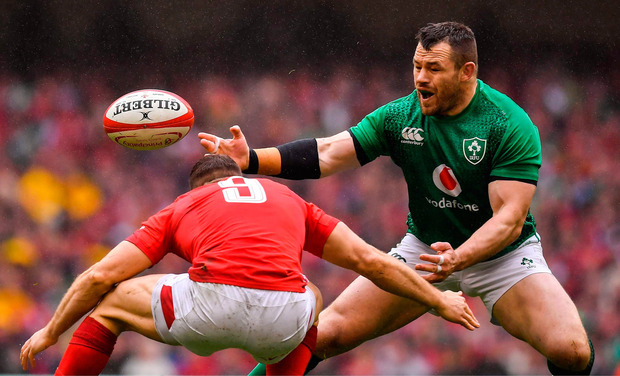 Ireland are quick-ball junkies and are primarily a clever and physical side that can hold the ball and pass accurately - Schmidt's side forgot themselves a bit in the last month or so. They will need to remember and reinforce what they are good at - being clever. Choosing wet and windy conditions and trying to play dry-day football isn't clever. If they want to be, Ireland will be dangerous in Japan.